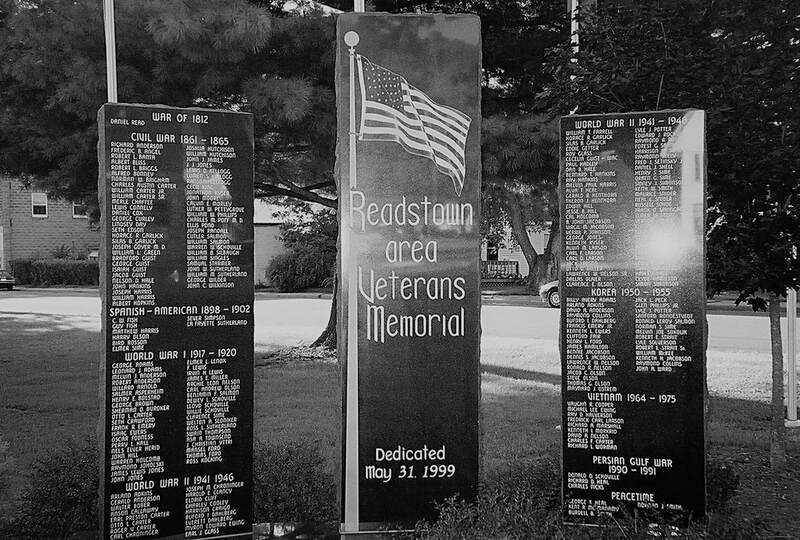 The Readstown bandstand at Bliss Memorial Park was built in 1905; the designer was unknown. It was paid for by the community through fundraisers, such as dances. It was built specifically for the community band which had been practicing over the winter months and had invested over $300 for instruments. 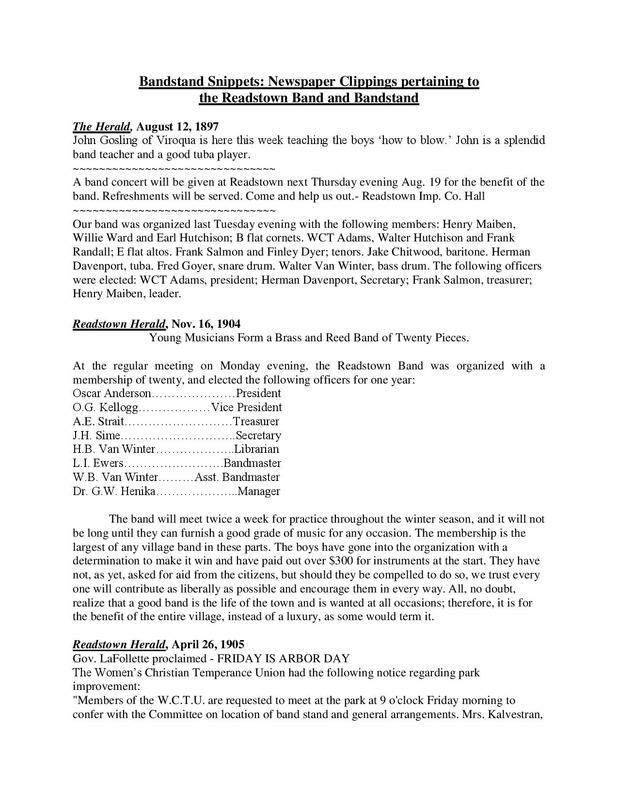 From the Readstown Herald, 11/16/1904, "A good band is the life of the town and is wanted at all occasions; therefore, it is for the benefit of the entire village, instead of a luxury, as some would term it". In 2010 the village rededicated its renovation, which had started in 2006 and was completed in 2009. 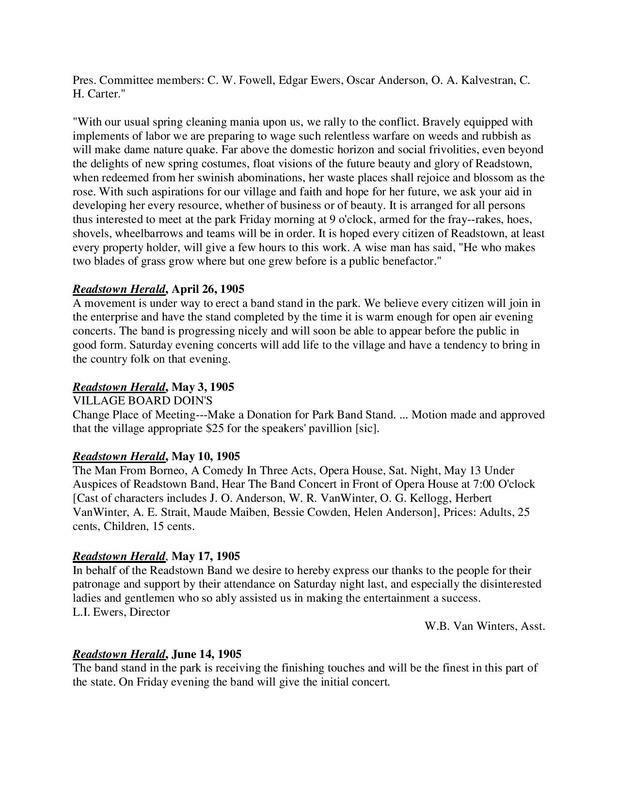 The bandstand, besides hosting the band, has always been used for Memorial Day programs, and in the past birthday parties, and some weddings. In Bliss Memorial Park, there are several memorial to veterans.